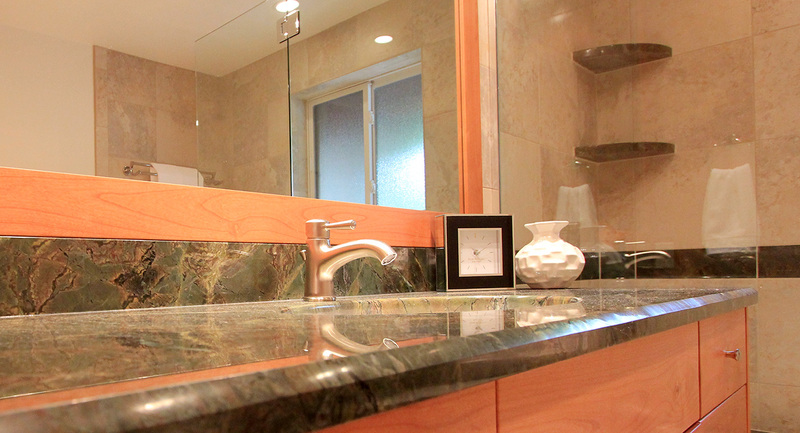 We updated this bathroom to a warm, inviting place to shower or take a bath. 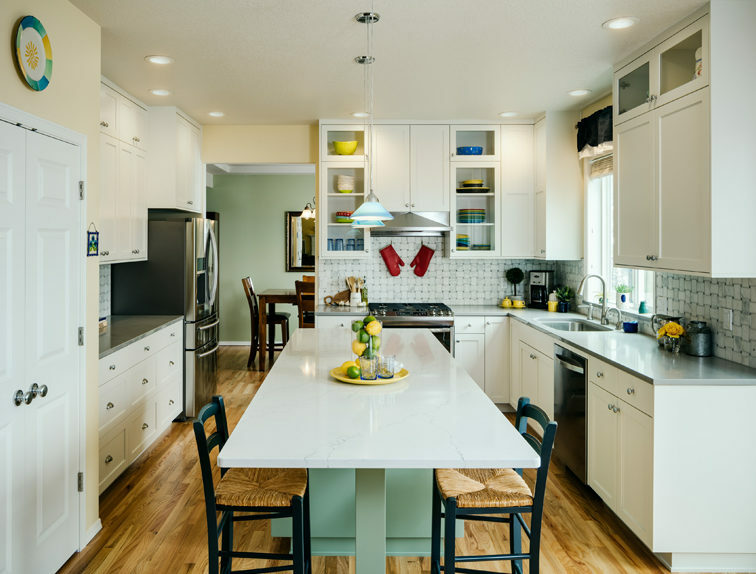 The granite countertop and tub deck offer a perfect counterpoint to the European style, cherry cabinets. 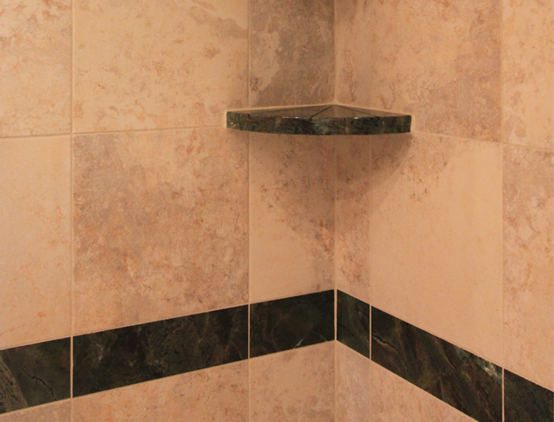 Our client requested an open shower with minimal barriers. 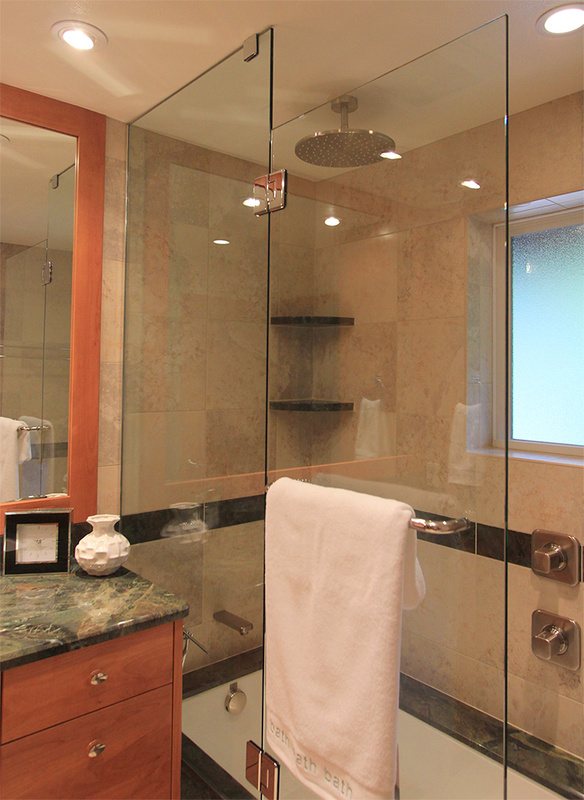 The shower glass is frameless and covers just enough of the tub to prevent water from splashing on the cabinets. The glass includes Showerguard coating which is the first permanent glass treatment against corrosion and staining. 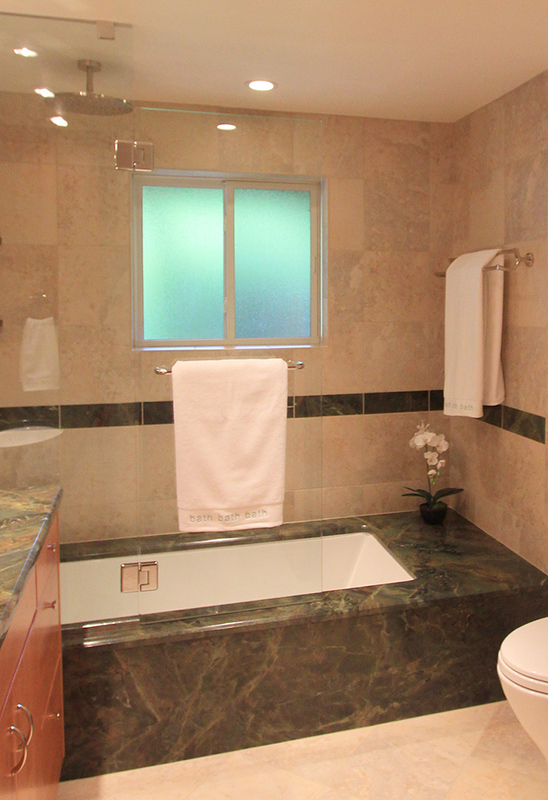 The tiled shower surround and tile floors are completely waterproof. 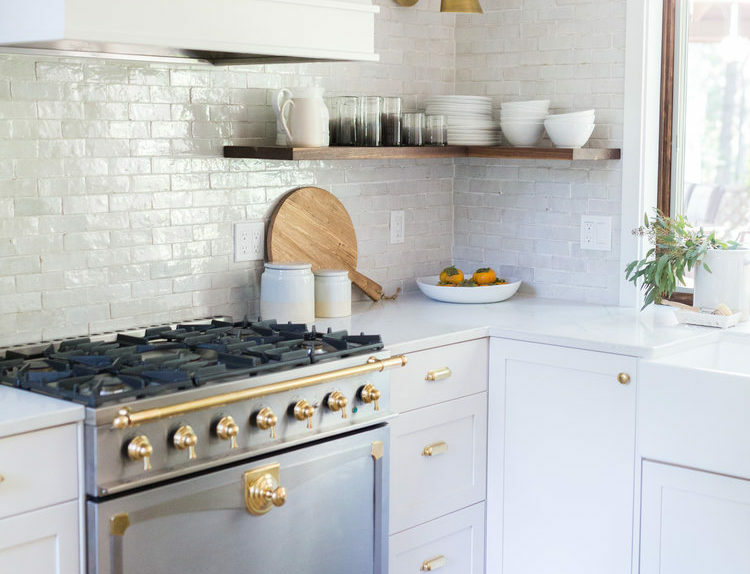 The cabinetry is finished with conversion varnish, the most durable, water resistant finish available. Our client can relax comfortably in this bathroom knowing that the high quality design and products used will continue to shine for years to come. 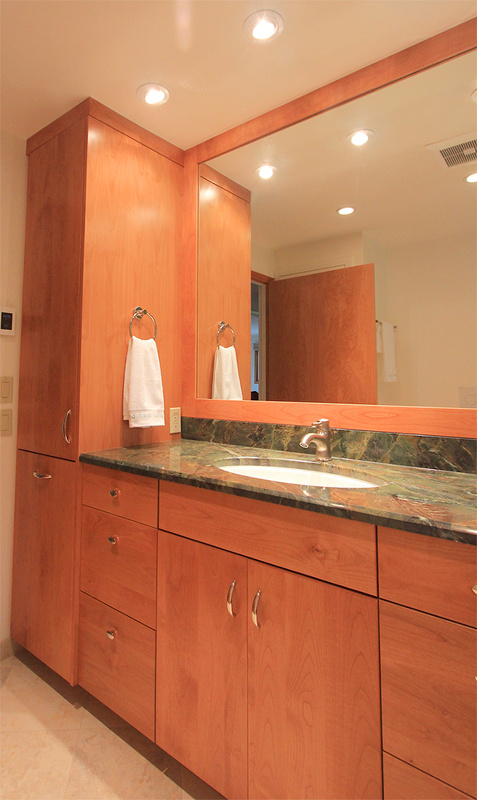 Floating granite shelves provide space for shower products while maintaining a clean, contemporary look. 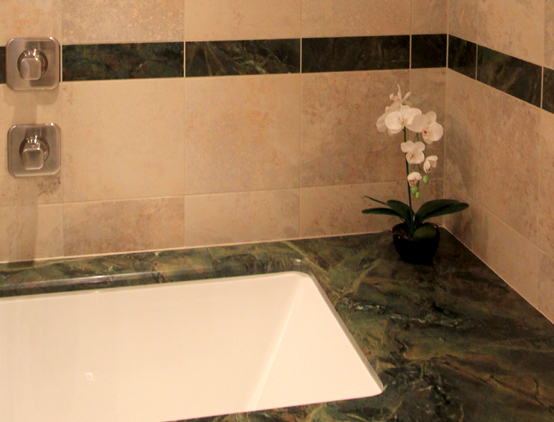 An undermount tub allowed us to install an easy to clean, beautiful granite deck which matches the vanity countertop. Unlike almost every drop-in tub, this tub is actually underneath the granite, which is perfect for keep water contained from the rain showerhead.